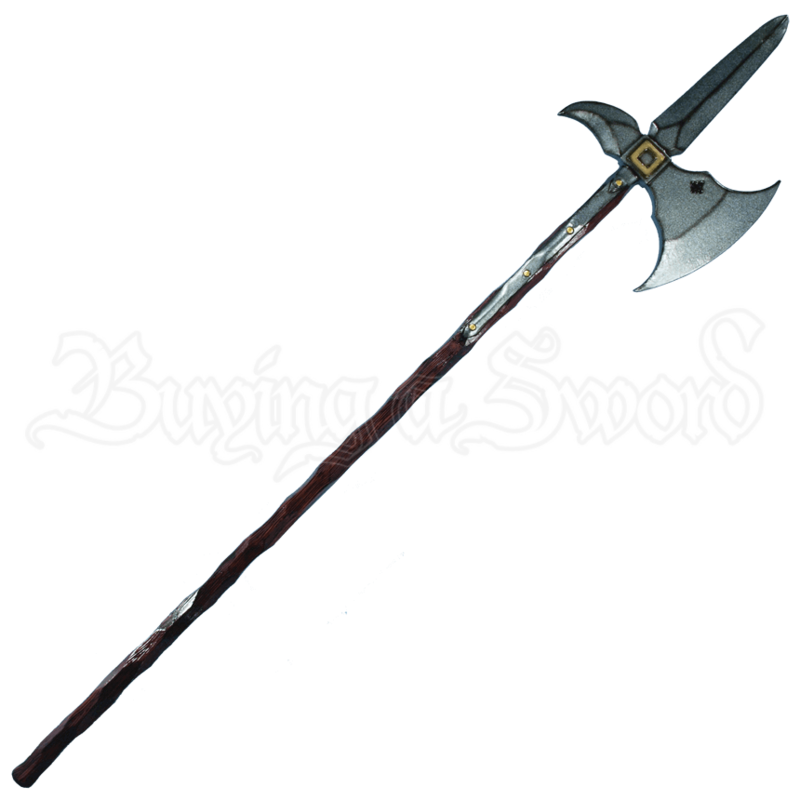 A beautiful, yet deadly, combination of an axe and spear, the LARP Halberd will send your enemies running in terror. 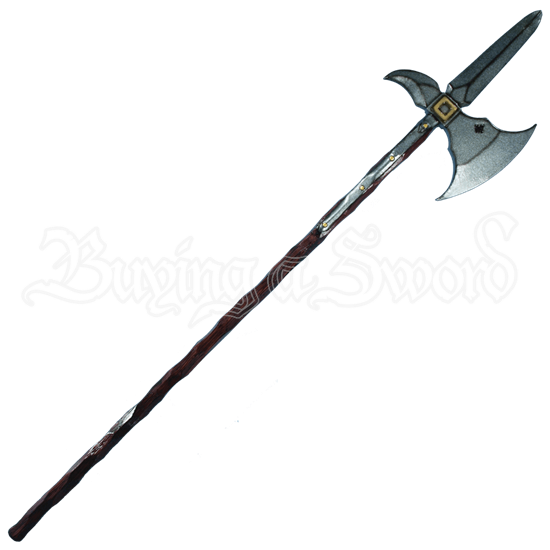 Whether you are an orc from a fantasy realm or Nordic warrior from the Viking Age, arm yourself with this weapon. Sculpted and hand painted with realistic features, the halberd possesses a roughly carved haft with wooden finish. Golden studs and an ornamental square secure the single axe head and spear to the haft. Shaded detail enhances the central ridges of the blades.